Baby C turned 9 months yesterday!!!! I know… We can’t believe it either!!! That’s RIGHT! We are expecting Baby #2!!! 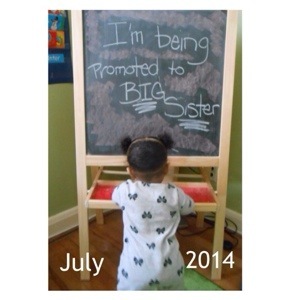 We are becoming a family of four… But, I’m on the opposite side of the belly this go round!!! With this exciting news, I plan to update more often… So, another update soon comes because I don’t want to make this entry too long.